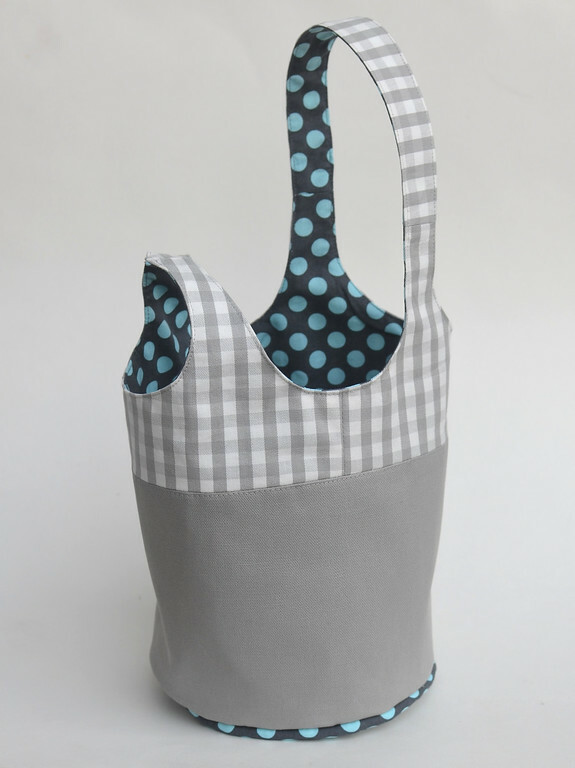 Bags with integrated straps are conceptually easy to cut out and sew up. Sometimes they are cut out as a single piece that already looks exactly like the finished product. 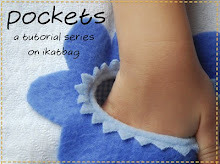 In such cases, the strap is really a handle made by cutting out a peekaboo window. Sometimes a little assembly is required. 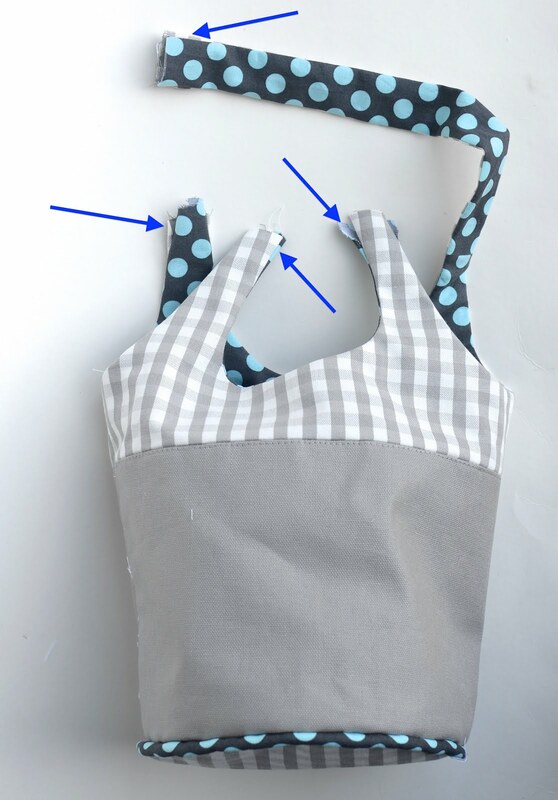 If the bag is unlined, finishing it could be as straightforward as simply binding the edges with bias tape. 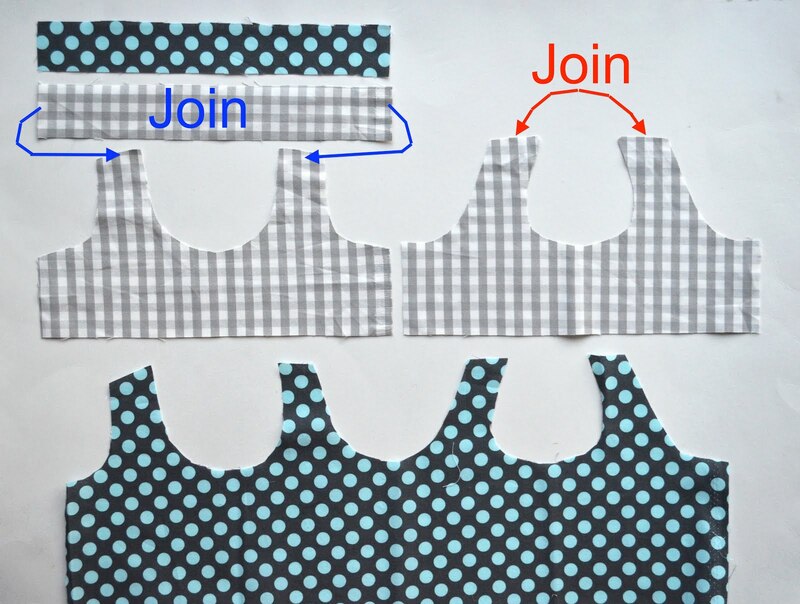 It only gets tricky when you add a lining. 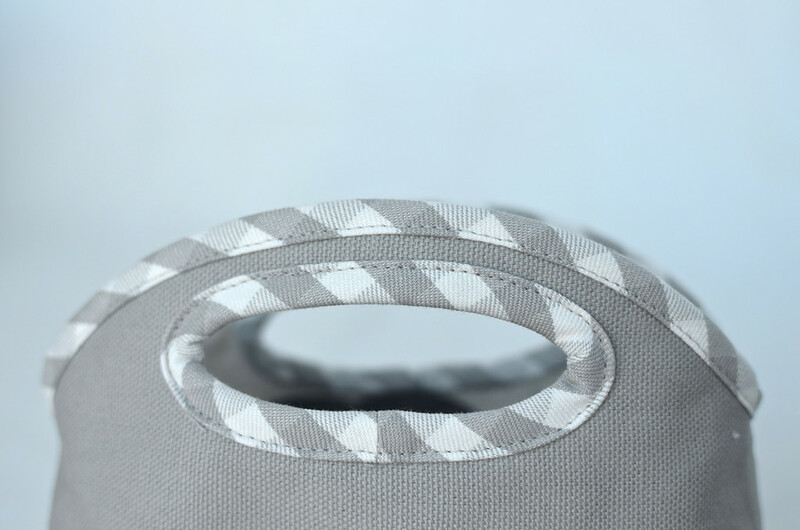 If you've ever tried to sew a rouleau loop inside out (think fabric donut) to conceal the raw seam allowances, you'll inevitably find that you've created one of those cursed infinite Mobius strip things. There are a few ways to get around this. 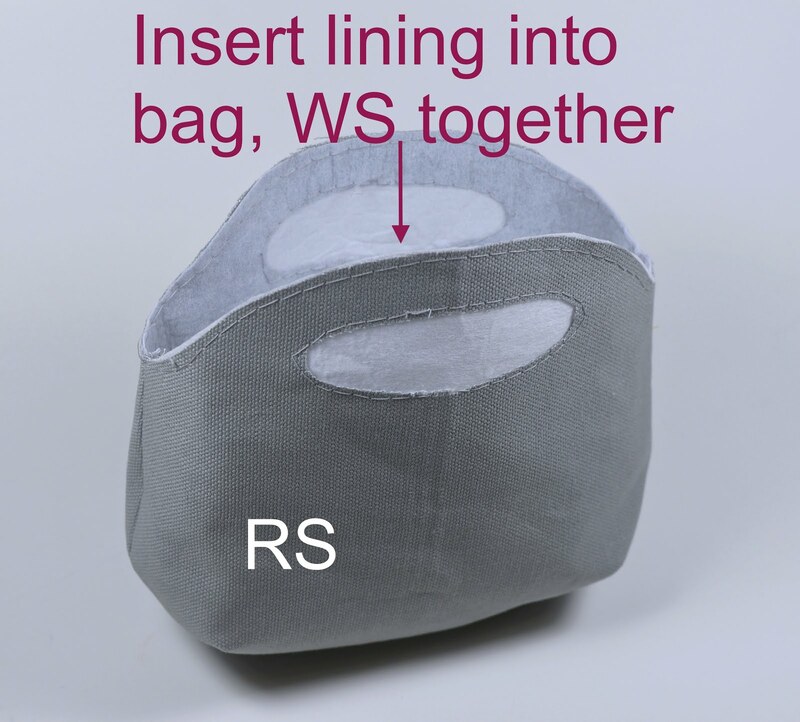 One way is to nest the lining and outer bag with their WS touching and sew all around the bag opening and handle hole to keep the two layers together. The exposed SAs are then bound with bias tape. 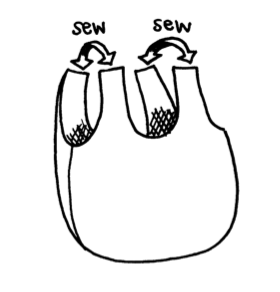 A second way is to sew the lining and outer bag together, RS touching, without first connecting the strap ends. These are then connected and the two bag layers edge-stitched together. Here, I'll show you in pictures. 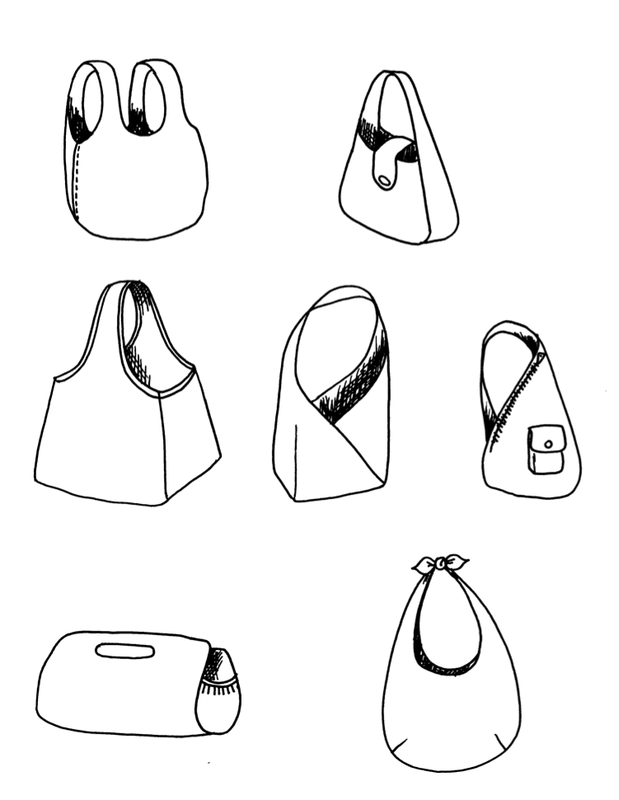 These are the pieces that will form the strap portion of a bucket bag. The red arrows show how the straps will join to form a small handle loop. The blue arrows show how the straps will connect to an extension strip to form a longer handle loop. 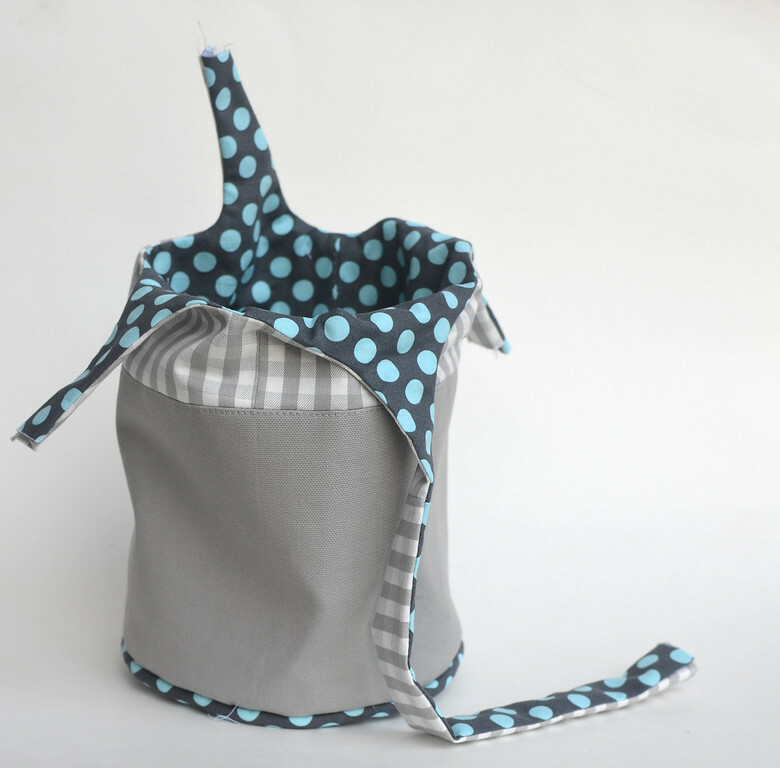 These pieces are mirrored in the polka dot lining fabric. 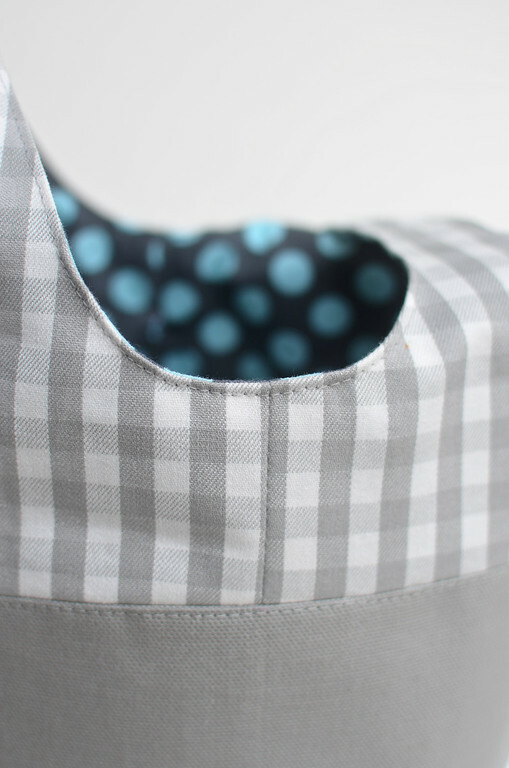 The lining is assembled, leaving a hole in a seam for turning the entire bag RS later. The strap ends are left disconnected. 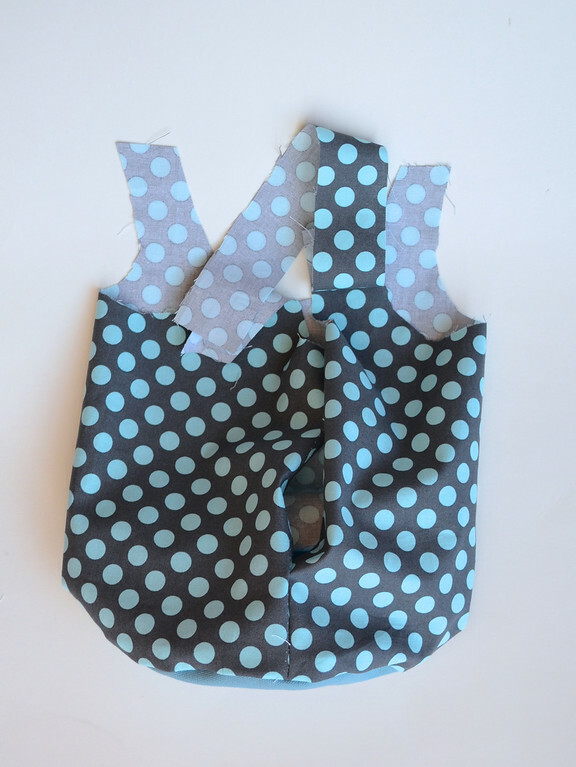 The same process is repeated for the outer bag, minus the hole in the seam. 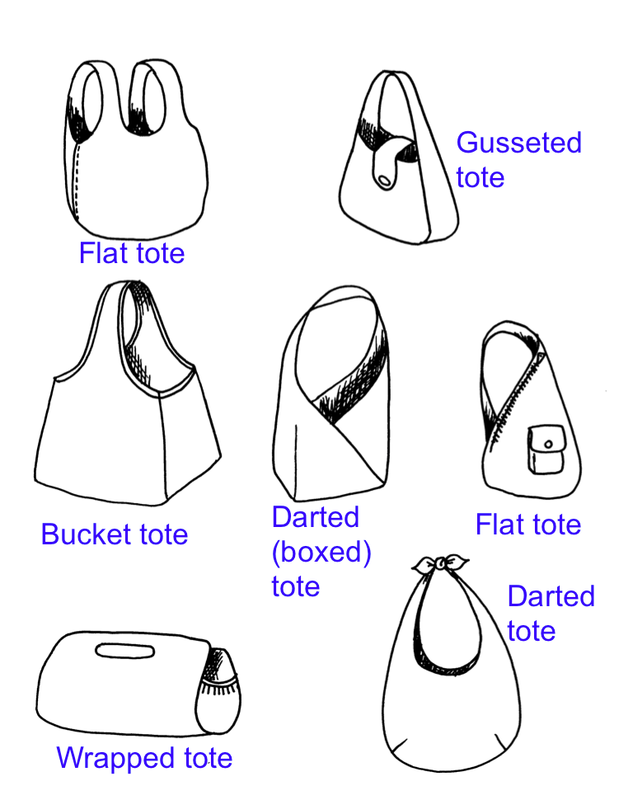 The two bags are nested one in the other, RS together, and stitched together along the edges of their straps. The entire bag is then turned RS out through the hole in the lining. 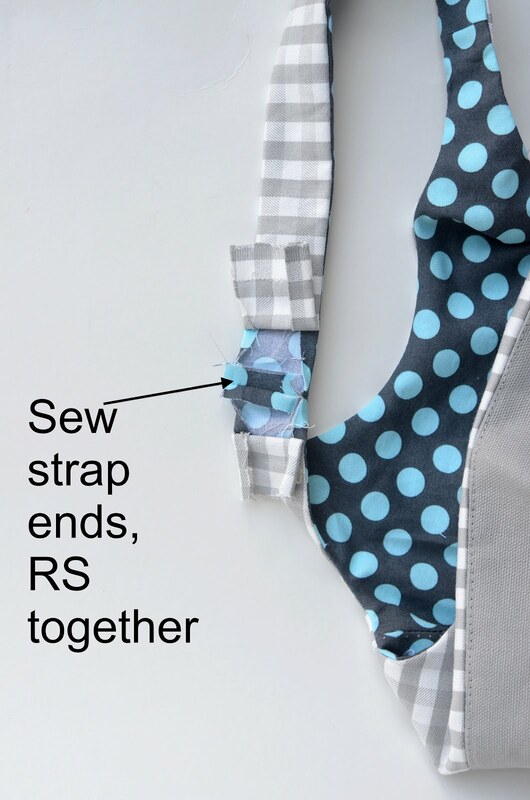 The ends of the straps are left disconnected, as shown. 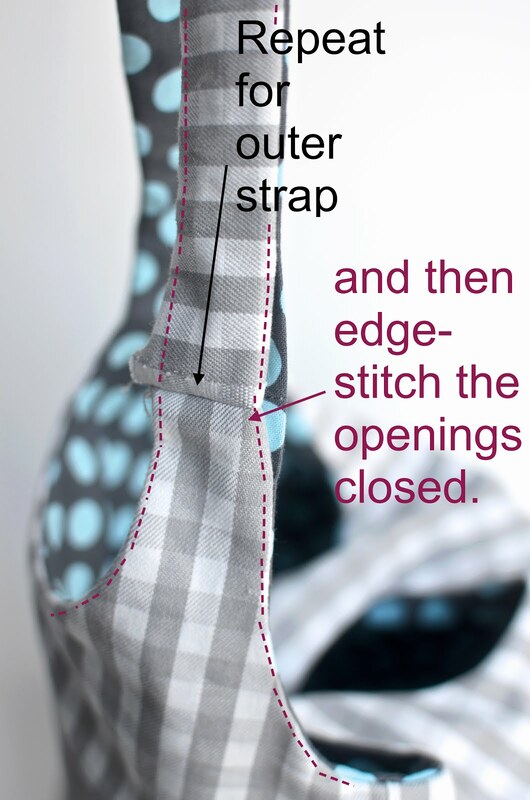 In addition, the stitching stops a few inches from the actual ends of the straps (blue arrows), to allow for some fabric contortion later. 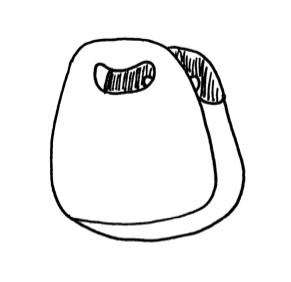 then the outer bag (or vice versa). The straps are then edge-stitched around their entire perimeter, closing those side openings in the process. 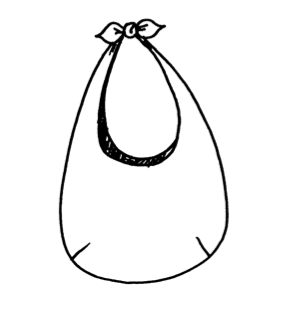 Ah, that mobius things has confounded me so many times - I once lost a whole dress inside a cowl collar. Thanks for this series! My first bag with integrated straps was a torment! 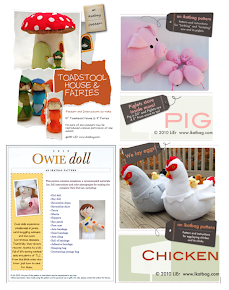 I am loving your tutorials! Great! I like your school! Thank you!!! You are great! Thanks for teaching and sharing! Great,simple and did I say great tute! Thank you. Thank u for all this information.